With Fabric Protection your upholstery will retain its luxurious showroom look and feel, no matter what sort of punishment you throw or spill on it. The product adheres to each individual fibre eliminating absorption of oil and water based stains including coffee. Simply clean up spills with a damp cloth. 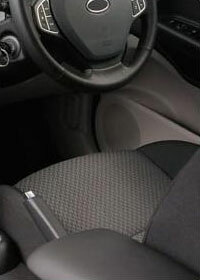 The product is odourless and non-flammable when dry, it will greatly extend the life of your vehicle’s upholstery. Enduroshield offers a premium range of paint protection for your vehicle. Enduroshield is a Total Paint Protection program, designed to protect the new vehicle’s paintwork against oxidisatio, corrosion, petrol, oil and detergents. No wax or polish can protect or enhance a vehicle’s paint like Enduroshield Paint Protection. Paint Surfaces are full of microscopic peaks and valleys reducing their gloss and collecting road and atmospheric grime. Washing and hand cleaning prepare the painted surfaces. Imperfections, marks and scratches are then removed before the product is applied, bonding to the paint surface and smoothing out any remaining undulations, leaving a hard mirror-like finish. The Paint Protection chemical make up gives increased resistance to UV rays, strong detergents and acid rain, giving your vehicle a long lasting showroom shine without the need to polish. 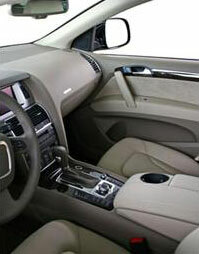 Plastic, Vinyl and Leather Protection coats and protects your vehicle’s interior vinyl, plastic and leather surfaces. It is a specialised emulsion containing silicon and plasticisers which rejuvenate and give treated surfaces added protection from shrinkage, cracking, splitting and discolouration caused by harmful effects of ultra violet light.